SME businesses can enjoy rewards in line with high volume accounts under a new IHG program. 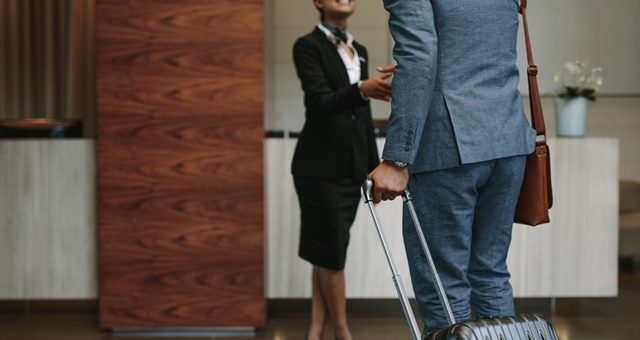 Incorporating feedback from more than 2,100 small and medium enterprises (SMEs), InterContinental Hotels Group has officially launched ‘IHG Business Edge’ – a corporate program designed to foster and reward loyalty from the business community. Companies eligible to join Business Edge must have fewer than 250 employees, turnover less than $250 million in revenue and spend a minimum of $5k with IHG each year. Meeting this criteria now opens up access to discounted rates at more than 5,400 participating properties across 15 brands in 100 countries. The program carries with it a user-friendly interface where a company administrator can manage all transactions and use of the program. Data including spend, nights booked, savings and IHG Rewards Club participation over the last year can all be viewed online. Future enhancements to this portal will see IHG introduce a content centre, new business tools and a forum for administrators to link to each other if required. Already boasting more than 1,500 members, the main customer-friendly objectives of the new program include allowing travel managers or individuals to negotiate more advantageous rates based on volume bookings and loyalty as well as consolidate booking data in one place. IHG Business Edge has undergone a soft launch with 300 businesses in 17 countries during which final tweaks were made based on guest feedback and bookings made through the program. Key insights revealed that smaller businesses were eager to benefit from the same, or similar, perks offered to higher volume corporations. In addition, the program needed to understand the needs of smaller and medium-size operations and deliver resources which helped them identify the most suitable IHG hotels for wherever they were in the world and their respective requirements, whether that was residing in a major city or in regional areas and closer to work. IHG Senior Vice-President Global Sales Derek DeCross said the hotel group was aware of a need for a buying program for SMEs but one that offered more than just discounts. “They didn’t want lengthy negotiations – but rather a rich discount they could count on, reliable reporting and insight into the latest information, as well as access to a diverse corporate network of other “similar” organizations,” DeCross said.